So, you’re flipping through one of those swishy design magazines and there they are again…those beautiful Adirondack chairs positioned perfectly to take in the sweeping ocean views. And when you look at their design, they look pretty simple, right? Yes! 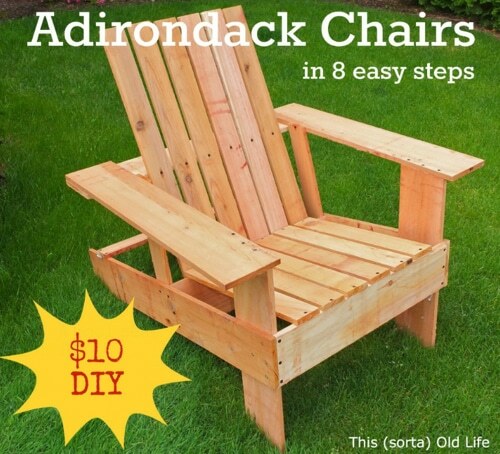 You can make your own beautiful Adirondack chairs for super cheap. It’s a weekend project you’ll get to enjoy for years to come.